Translated and adapted by Galina von Meck and Lindsay Anderson. Opened: Lyric Theatre, London, 28 October 1975. It’s still too early to talk about a real company at the Lyric, despite what it says on the posters. It takes months to get a real company feeling unless you all come from roughly the same theatrical background, as we did in Teeth’n’Smiles. At the Lyric we’re a very mixed group, and there’s no real community like there is in Sloane Square – now we simply meet for rehearsals and the theatre only comes to life for an hour or two each evening… I also don’t believe you can get a real company going without absolute equality of salaries, and that’s not what’s happening at the Lyric. Bernard Shaw believed that Chekhov was aiming at a new theatrical genre, ‘tragicomedy’, that is to say ‘a play that was essentially a comedy but into which the tragedy of life boldly intruded.’ The elements of romantic comedy are certainly piled high in The Seagull. Everybody is in love with the wrong person: Trepliov loves Nina; Masha loves Trepliov; Nina loves Trigorin, and Medvedenko loves Masha. But Trepliov’s unreturned affections have tragic consequences: in Act Three he attempts suicide; in Act Four he succeeds. Just as generic distinctions slip and slide, so are meanings elided and diffused, beginning with the play’s title. The eponymous seagull is both a prop and a symbol. As such it is traded among three characters – a successful writer, a would-be writer and a would-be actress. To the actress it’s naturally a prop; to the writers it’s naturally a symbol. Nina recognises that, for Trepliov who’s given to ‘talking unintelligibly in a sort of symbolic way’, it’s ‘apparently another symbol’ but confesses herself ‘too simple-minded’ to understand it. (Her artless admission might almost be Chekhov’s riposte to the accusation that he has over-determined his meanings with this multivalent image.) For the hapless Trepliov as he lays the dead bird at her feet, it seems to be an improbable love-token. For the hardened Trigorin, accustomed to factoring experience into art, it’s a subject for a short story and a metaphorical premonition of Nina’s vulnerability. He asks to have the dead bird stuffed (thus reconverting it into a prop). When the result is presented to him two years later, he claims to have no memory of making the request. The returning Nina of Act Four identifies with the seagull. Or does she? 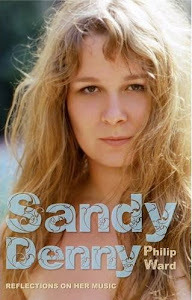 The Russian language has no definite or indefinite article, with the result that her famous words, ‘Ya – chayka’, hover in the gap between ‘I am a seagull’ and ‘I am the seagull’. 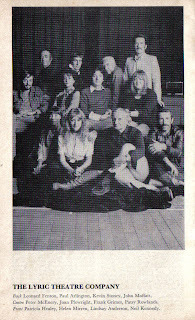 I saw this production late in 1975. Sadly, at a distance of 36 years, I remember very little of it: only a single image, like a tableau, perhaps the play-within-a-play in Act One. 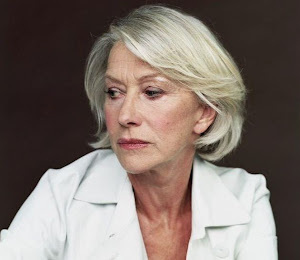 When I try to recall Mirren’s performance as Nina only one adjective comes to mind: ‘demure’. Actually, I don’t suppose it was anything of the sort. By Act Four, when Nina has had an affair and an illegitimate child, she has left behind whatever ‘demureness’ she started out with. I surmise that what stuck in the memory (irritatingly elbowing out any other thoughts) was the contrast between Mirren’s appearance here and the last time I’d seen her on stage, three months earlier, as frazzled rock chick Maggie in Teeth’n’Smiles. Gone were the slashed skirt and platform shoes, to be replaced by sober, buttoned-up period dress. As Ms Mirren played them, the two women didn’t come from separate species… When her Nina reappeared in Act Four, she gave the impression not of a badly wilted flower but of a plant that had grown hardier with time. Miss Mirren… begins almost as Alice in Wonderland, and is superbly unabashed about it. But along with Alice’s wide-eyed hero-worship goes Alice’s instinctive practicality. There is nothing distracted about her final scene; the famous antiphony (‘I’m a seagull; no, I’m an actress’) becomes a balancing of possibilities and there is no doubt that the second will win. She is not going to become a thing in anyone’s dream. The part, though Miss Mirren finds a totally different style for it, is analogous to her rock singer in Teeth’n’Smiles, both doomed in theory, both survivors in fact. Peggy Ashcroft played Nina in a much-lauded 1936 production. Ashcroft’s biographer describes her trepidation as she approached that final scene. Fortifying herself backstage with a sip of brandy ‘to take off the edge of terror’, she sat ‘alone in a corner with a shawl over her head working herself up to her big entrance while the wind and rain effects whistled all around.’ Influenced by the director, Theodore Komisarjevsky, she believed that Nina was ‘destroyed’ by the end of the play, that her ‘protestations of belief in her future career’ were ‘only a covering up of her disbelief’ in herself. Helen Mirren’s approach to the character forty years later was very different.